Assalamu Alaikum, I am a young Muslim man from Tunisia who wants to buy a car the Halal way, and someone directed me to companies which offer long-term car rental with the possibility of ownership of the car after the lease contract ends, which means there are two separate contracts … Is this allowed? Wa Assalamu Alaikum wa Rahmatullahi wa Barakatuh. The Messenger of Allah ﷺ has prohibited two contracts in one contract, like if someone says: I sell to you this house of mine on condition that I sell to you another house of mine for so much, or on condition that you sell me your house, or on condition that you marry your daughter to me. This is not valid because his saying I sold you my house, this is “one contract”, and his saying on condition that you sell me your house is a “second contract”, and they gathered in a single contract, so this is not permitted. For it was narrated by Ahmad Abdul Rahman bin Abdullah bin Masood, from his father, he said: «نَهَى رَسُولُ اللهِ صلى الله عليه وسلم عَنْ صَفْقَتَيْنِ فِي صَفْقَةٍ وَاحِدَةٍ» “Messenger of Allah ﷺ has forbidden two contacts in one contract” Which means the presence of two contracts in a single contract. Therefore, what you asked about is two agreements in a single agreement, for it is a contract of lease to a certain period of time, for example ten years, then after that it becomes a contract of sale. These two agreements, i.e. 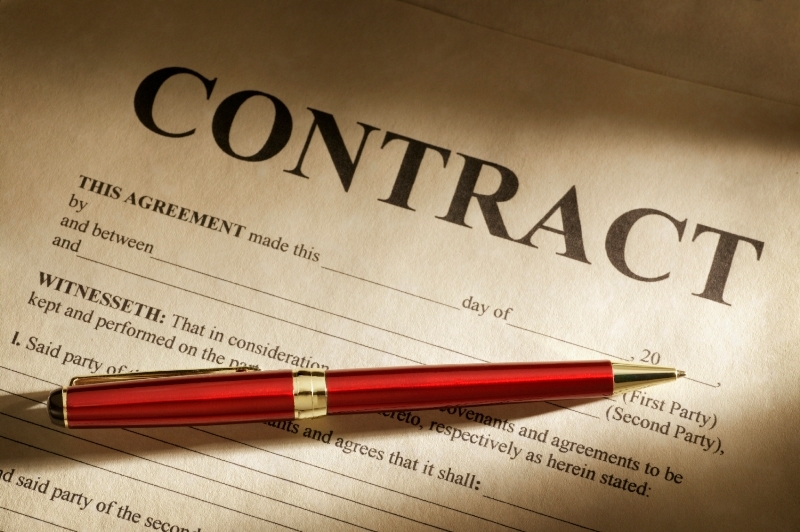 lease and sales in a single contract contracted by the owner of the car with the tenant are in one contract. And this, based on the above mentioned Hadith is not permitted. If you want a solution to this issue, you can agree with a seller to buy from him a car in installments, so that you pay an initial down payment and then monthly installments until you complete the amount payment you agreed upon at the beginning of the contract, and in this case, the car is yours according to the contract of sale agreeable at the beginning. This contract is a contract of sale on installments which is permissible and nothing wrong in it, on the condition that the sale price is specified in cash or in installments at the beginning of the contract, and the sale is contracted on what the two contracors mutually agreed upon. So if they both agree over a specific price, and the seller sells to the buyer for the immediate price and the buyer accepts, or he sells for the deferred price and the buyer accept, then this is valid, as it is bargaining over the sale price, and is not a sale. And bargaining is permitted, because the Prophet ﷺ bargained. Anas bin Malik, narrated that the Messenger of Allah ﷺ sold a blanket (for a horse or camel) and a drinking bowl, and said:«مَنْ يَشْتَرِي هَذَا الحِلْسَ وَالقَدَحَ»، فَقَالَ رَجُلٌ: أَخَذْتُهُمَا بِدِرْهَمٍ، فَقَالَ النَّبِيُّ صلى الله عليه وسلم: «مَنْ يَزِيدُ عَلَى دِرْهَمٍ، مَنْ يَزِيدُ عَلَى دِرْهَمٍ؟»، فَأَعْطَاهُ رَجُلٌ دِرْهَمَيْنِ: «فَبَاعَهُمَا مِنْهُ». “Who will buy a drinking bowl and blanket?”. A man said: “I will take them for a Dirham.” So the Prophet ﷺ said: “Who will give more than a Dirham? Who will give more than a Dirham?” A man agreed to give him two Dirham, so he ﷺ sold them to him. Imam Tirmidhi said: This is a Hasan Hadith, and the sell of an auction is bargaining on which price the sale settles. And the truth is more deserving of being followed, and Allah is the Guide to the Straight Path.